Home / Articles / Lowering Cholesterol and Sugar with a Balanced Diet- Tips for Hard-Headed People! Lowering Cholesterol and Sugar with a Balanced Diet- Tips for Hard-Headed People! A lot of modern people of today are getting into fitness more seriously and do not want the comforts of technology and human services to completely take over and render their muscles and bones weak and flimsy. It was a horrible and self-destructive fad to lose weight just for thinness and an unrealistic aesthetic’s sake. Now we lazier humans are realizing that strength and really eating is what it takes to be fit, not starvation and not even over exercising. Sadly, a lot of people are quite clueless about health and nutrition and do not know where to start, especially if one is a creature of habit. So many individuals are under worked out, over or underweight with not a sufficient amount of muscle. To be truly healthy and good to yourself you must think of what is best for your mind and body, not ego, vanity or insecurity. To be in good health your intentions have to be real and meaningful. That means they are not driven by something shallow or based on the opinions of others. You must be healthy for yourself, lose weight properly for yourself, gain muscle for strength not for look alone. To be fit is to be strong, there are no shortcuts and commitment is a requirement. Most of us have problems keeping excess weight off and gaining strength and flexibility because we are so engulfed in other things that we cut off the basic connection of our mind, body and nature. Our world is heavily manufactured and mass produced, telling you to buy this and that, to purchase pills, so called miracle teas, coffees, mysterious powders and other nasty, chemical things that do not work or seems like they work at first then have bad health effects. We are losing the basics of it all. We do not even have to spend a whole lot of cash, fitness and strength is for everybody whether they could afford equipment or not. Nutritional information is easily attainable knowledge. Endless books, actual doctors, nurses, trainers and nutritionists you can listen to and the dang internet we do not use efficiently. The information is all there, the vitamin, mineral and caloric value of foods, what exercises are proper, etc. Most importantly one must start with their diet, the root of the vast majority of health problems. Yes, never ever ignore exercise, it is nearly or equally important. With physical activity you are able to access your stored vitamins and minerals along with the nutrients in your food and supplements. But we must start with our diets first, we need quality fuel for quality activity therefore quality life. Clear enough? You are not 6 years old or a professional athlete, you cannot tell yourself I’ll have chocolate chip cookies and a candy bar and just burn it off later. “ Pro athletes do not even do that all the time, they still need real food of course. Most of our health problems come from ignorance and denial, we eat crap and keep telling ourselves it is okay. Probably, that person is also facing a food addiction, bad habits come in all forms and food is a drug. Things like diabetes and high blood pressure are a far fetched thing for people who eat things that are closer to the natural source without excess fat especially saturate fat, cream, salt and the worst villain- processed sugar. I promise you, prepare your meals more and eat healthier, your taste buds will realize that low quality food actually tastes bad…the chemical preservatives are addictive just like a drug. And yes they heighten chances of depression. I said 10, not 8 just to be sure you do not suffer from ailments caused by dehydration. Have water before other drinks and more water after especially with unhealthier, sweet drinks, alcoholic beverages and coffee which can be dehydrating. Black coffee is healthy though but you must balance your intake with a steady supply of water. Watch out for the frequent color of your pee, must not be dark yellow all the time. Replace with fruits, real juices, healthy sweeteners and higher quality sweets like pure cocoa. You won’t miss them much! This is really important, number 2 on the list for a reason. People freak out with carbs, even healthy carbs, but more especially fat or oil content in things…yet they go for cookies or ice cream. Processed white sugar is an unneeded product, there are so many healthy sugars existing in nature! And these healthy sugars even become bad for diabetics because they abused processed sugar first…now any kind of sugar can get them. Diabetes is really one of the worse. Sodas or softdrinks, sugary teas and coffees from commercial stores, candies and baked goods made with white sugar are highly cancerous. Go for cane sugar or syrup, pure fruit syrups, muscovado, stevia, honey, coconut sugar, agave and high quality brown sugars are much better. Have an apple, grapefruit or mango instead of cake. Eliminate white sugar, have an okay quality burger instead. Note, not McDonald’s. Don’t be a kid and look at veggies in a different light. Why give them a bad name? With or without meat or fish they are delicious, especially if you select your own veggies and recipes. Without fiber and all the antioxidants you can get from plant life you will get very sick and look old right away. Your skin and hair will be in poor shape, all of your body’s basic functions will not run smoothly and you will often feel horrible. You will often be constipated too. Cauliflower, broccoli, eggplant, tomatoes, garlic, onions, zucchini, different varieties of both cabbage and lettuce, all kinds of radishes, carrots, corn, tomatillos, kale, chives, scallions, ramps, etc. How could those sound boring? It is how you look at it and how you cook and season. Bad fat comes from fast foods, junk foods and cooking vegetable oils that are hydrogenated. Stay away from those but please have fat. Good fat has antioxidants and actually helps you lose weight while maintaining a healthy amount of fat. Cook with oils like coconut oil, pomace or last press olive oil, avocado oil, mustard oil, grapeseed oil, sunflower oil, etc. Fish oil is a great supplement to take but having oily fish and fish belly fat is a more delicious way to have it. Animal fat like pork, beef and chicken are not bad either, just don’t gorge too much or drink it. Sugar, the white kind, is still worse. You will be so weak removing a major food group like this. Eliminate sugar instead. Truth is we can live without sugar sources almost, what we need to take into importance is protein, fiber, fat and carbs. We only need a bot of sugar and this can be found in all living things we consume, meat and veggies. Fruits are much healthier to eat than sugary junk. They are both unnatural for the body and too unnecessarily synthesized. Go for natural vitamin and mineral supplements. Cannot stress this enough, mindless pill taking is addictive, unhealthy and irresponsible. Painkillers that are not natural, non-organic cough remedies, aspirin, paracetamol, ibuprofen, all these are unneeded. What happened to vitamins A, B-complex, C, E, K2, fish oil, collagen and calcium? And a fun fact, vitamin K2 is for healthy blood clotting and absorption of calcium too. So a K2 supplement and a calcium supplement are a dynamite duo. Don’t kid yourself, promise this is even good for you. You confuse your body in a good way and teach it to burn calories more efficiently and use the fuel to repair tissue from exercise damage. Put that food to work! Diet and exercise is a marriage. No excuses or it’s an early wheelchair for you.Start with full body stretching lile yoga, pilates, tai chi and types of dancing, all up to you. Do cardio varieties for 10-20 minutes, but full on with 30 second rests in between. Do resistance training and include bands and/or light weights later on. End with more cardio and stretching. Be positive! This is not a drill, mental health is everything. 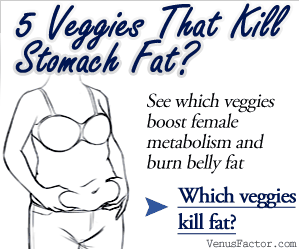 Previous French Wine For A Flat Belly Review – Drop 11 Pounds In A Week?